It has been reported on the Locus Magazine website that author Andrew (A. J.) Offutt has passed. 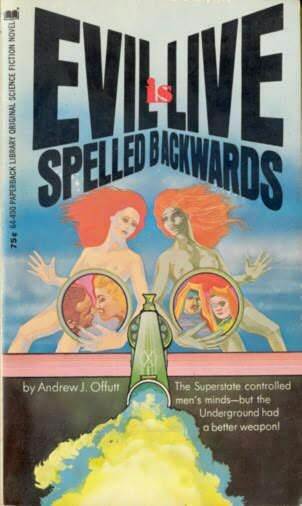 Below, the cover of his first published novel, Evil is Live Spelled Backwards, published in 1970 (from FantasticFiction.co.uk). Read more here.